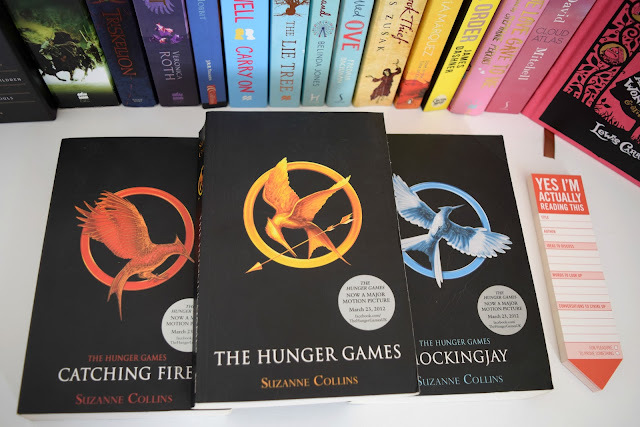 I am a big fan of the movies and I just know the book will be even better if that`s possible. I have read the first two books, but thanks to spoilers I know how it ends, so I was delaying the heartbreak. It`s a book about a girl with special powers, who is sent to a government ``rehabilitation camp``. Another dystopian trilogy, where people can`t fall in love and are paired with a ``perfect`` partner. Surprise, surprise, a dystopian book set in the future divided America. Quite similar to The Hunger Games from what I understood. Set in a post-apocalyptic world, where at the age of 16, people have surgeries to resculpt their bodies, to match the ideal of beauty. Only positive reviews on Goodreads, this is a fantasy trilogy about a kingdom in danger, who`s fate rests on the shoulders of a troublemaker and his young apprentice. If you haven`t seen the movie, this is about a boy that wakes up in a Maze, along other teenager boys. While others have built a life there, Thomas is looking for a way out. In a town where everyone can hear everyone else`s thoughts, young Todd stumbles upon an area of complete silence. He finds out a terrible secret; that will change his life forever. A paranormal trilogy, about a group of kids with special powers, which have to hide from the world and are being haunted by an evil group. These are my trilogies for 2016. Have you read any of them? Which one was your favourite?